I Lucius Howe of Cuyahoga Falls Summit County Ohio, being of sound and disposing mind and memory and wishing to dispose of my worldly effects, do make declare and publish this my last will and testament. Item 1st. I give and devise to my son Orville Howe the farm on which he now resides, situated partly in Tallmadge and partly in Cuyahoga Falls Townships and which contains ninety one (91) acres during his natural life to use and enjoy the issue. Item 2nd. I give and devise to the children of my said son Orville Howe, by him begotten or that may be begotten by him in lawful wedlock, the remainder in fee in said farm described in “Item 1st”, in which I have herein devised a life estate to my said son Orville Howe to them and their heirs and assigns in fee forever share and share alike. Item 3rd. I give and devise to my daughter Ellen Callahan the homestead property on which I now reside it known as lots No. 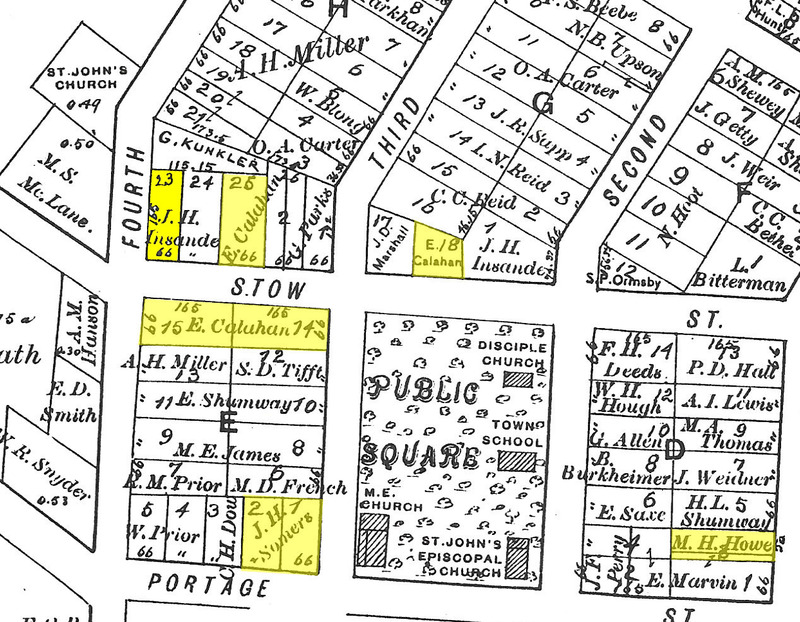 fourteen (14) and fifteen (15) in block “E” and which is situated on the south side of Stow in the Village of Cuyahoga Falls Summit County Ohio to use and enjoy the same during the term of her natural life. Item 4th. I give and devise to the child or children of my said daughter Ellen Callahan, born in lawful wedlock the remainder in fee after the death of my said daughter Ellen Callahan, of the property described in Item three to them and their heirs or assigns forever. Item 5th. I give and devise all the residue of my property, whether real, personal or mixed not herein before disposed of to my said daughter Ellen Callahan and my son Minor Howe share and share alike to be theirs and their heirs forever. Item 6th. I hereby appoint Ellen Callahan executor of this my last will and testament. In testimony where of I here unto set my hand and seal this 2nd day of December 1885. The will is signed by Lucius Howe. In item 1 Lucius clearly defines that the farm is 91 acres and that it is located partly in Tallmadge and partly in Cuyahoga Falls Townships. 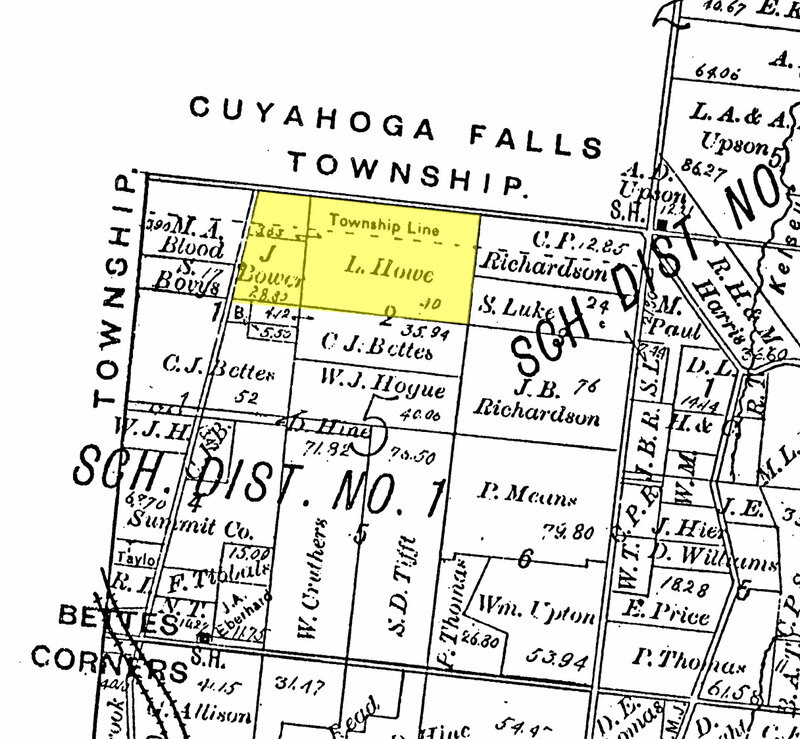 (This farm is shown in the Summit County map of 1891) He also clearly states that his son Orville Howe is now residing on that farm. Next Lucius states that he gives this farm to his son Orville to use and enjoy for his natural life. In item 2 Lucius gives to the children of Orville the remainder in “fee” of the farm described in item 1. To share and share alike and assign in “fee” forever. Lucius than states that he has devised a “Life Estate” for his son Orville. In item 5 he gives all the rest of his estate to his daughter Ellen and his son Minor. In item 6 he appoints his daughter Ellen as executrix of the will. The will was witnessed by Thomas Walsh, who was also apparently the attorney of record. 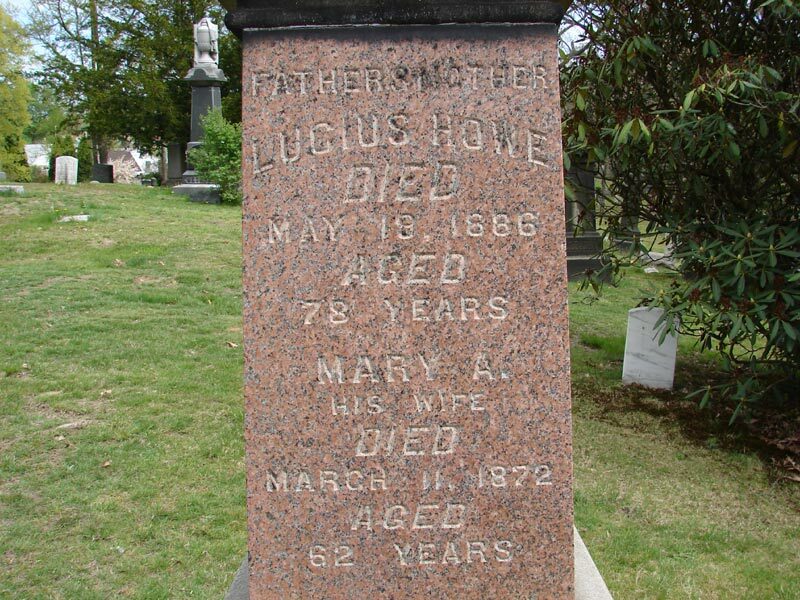 The probate of the estate of Lucius Howe was signed by M.H. Howe, Ellen Callahan, and Orville Howe. It reveals that Lucius had personal property valued at $20,000.00. Debts were listed but were unreadable. Ellen Callahan refused to be the executrix of Lucius’ will and she named Thomas F. Walsh as the executor and administrator which was approved by the court. 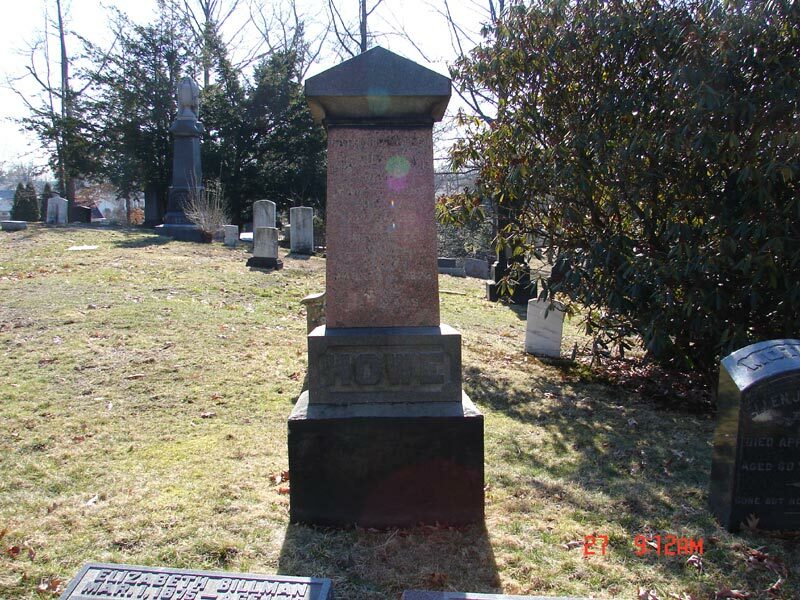 Thomas F. Walsh was bonded for $40,000.00 to act in this capacity. It can be noted that whenever Thomas Walsh wrote Minor Howe’s name he spelled it as Minor not Miner. The probate made no mention of real estate value.